No wonder the boys go crazy around her, she is red hot. These are really hard to get close to. Just wish the foreground rock wasn't so close to the duck. Even a very slight move to the right would take this one to the next level. Cracking image on the Merganser Karl. Ditto the thoughts on that rock. 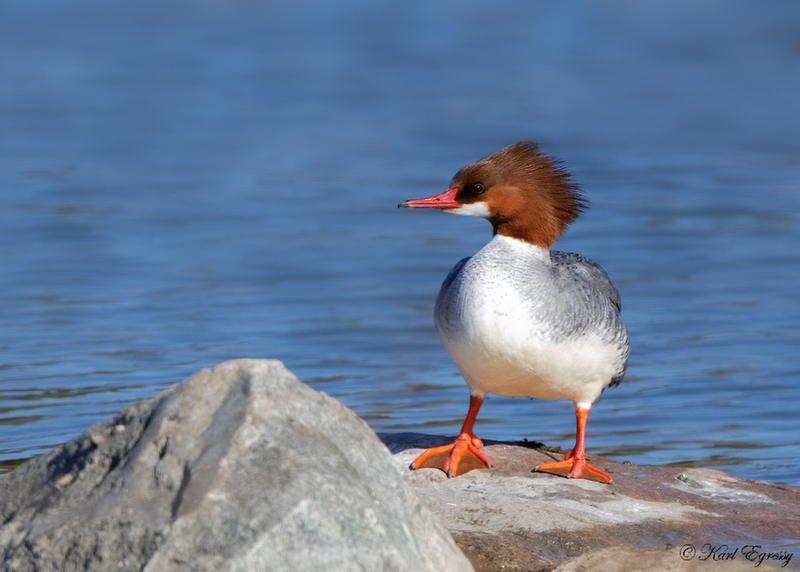 Excellent profile of Ms. Merganser, and I love her hairdo. Very nice frame, Karl. Isn't she something! She looks ready to take on the boys! Nice to see one out of the water and to get a look at the feet.. They are really attractive birds I think.